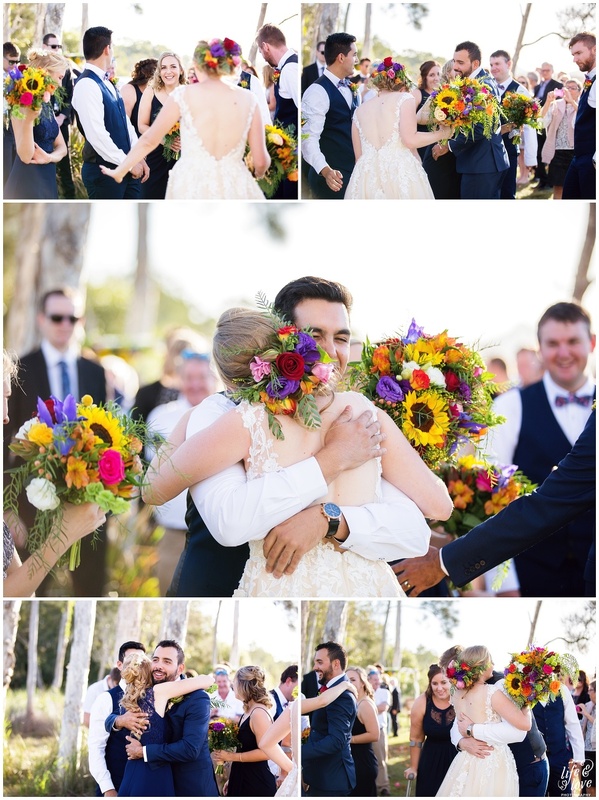 When all you need is LOVE and Sunflowers!!! 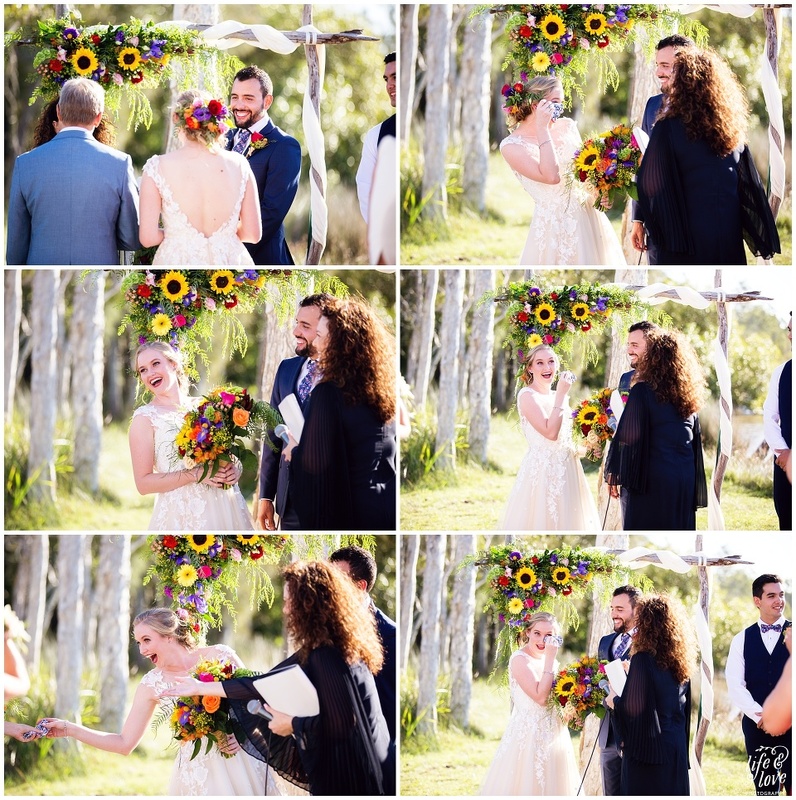 And laughter! 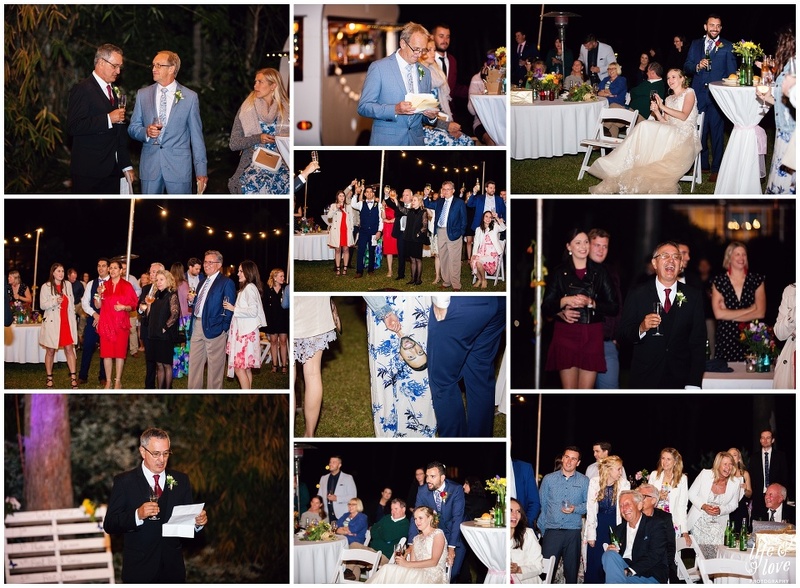 Lots & lots of laughter!! 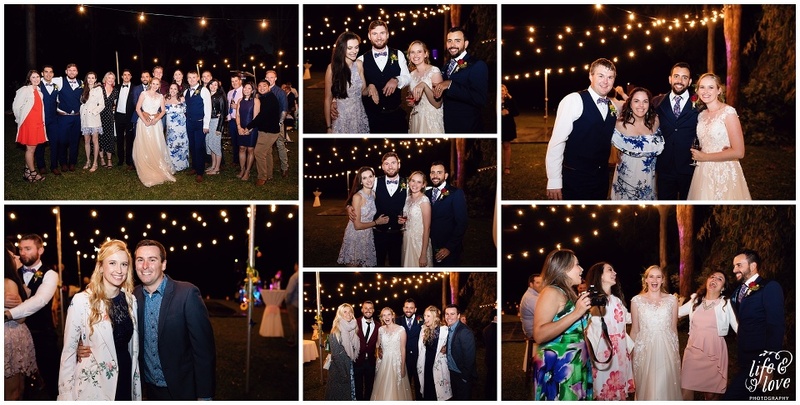 And family & friends! 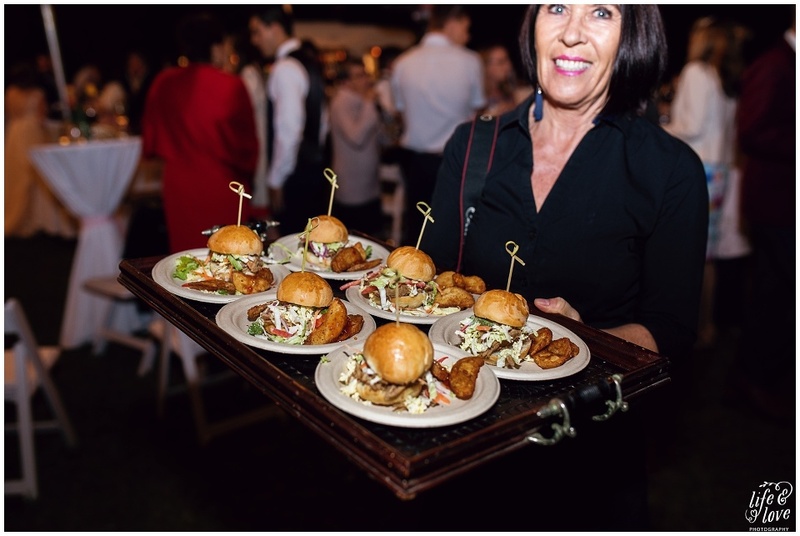 And great food & drinks!! 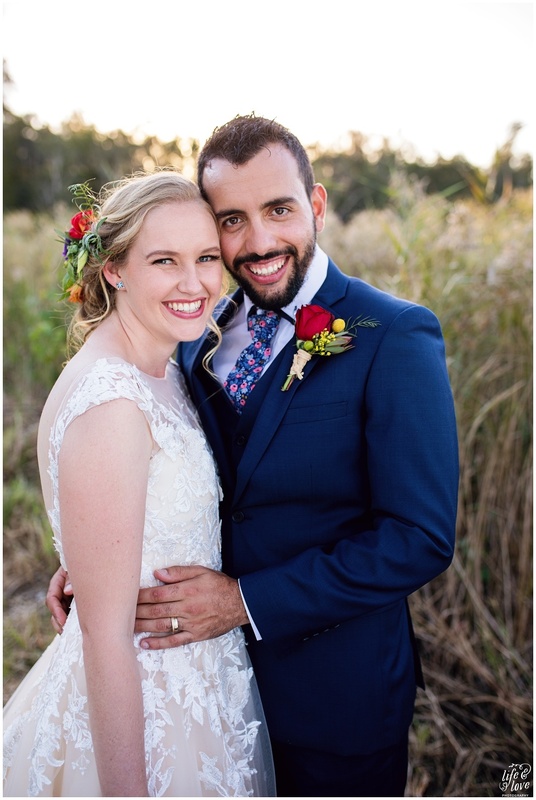 Tracey & Mauricio are the kind of couple that don’t need a fancy palace and big diamond rings, they just need each other (and their 2 puppies of course!)! 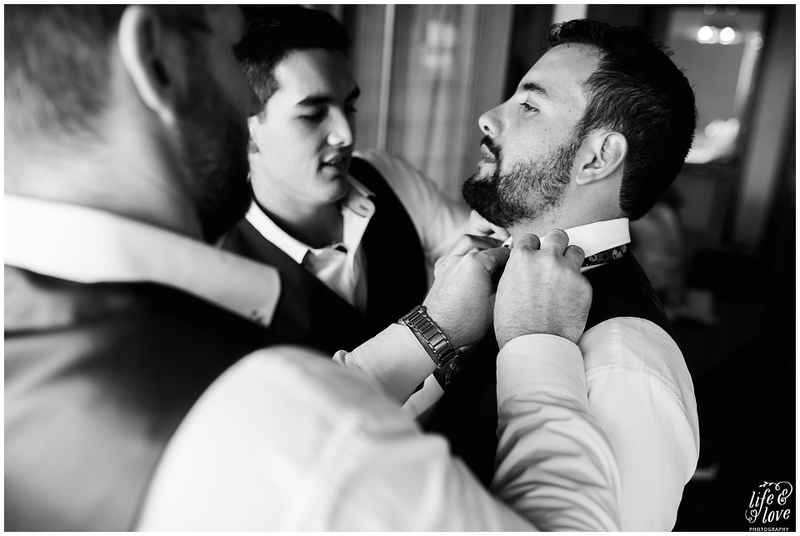 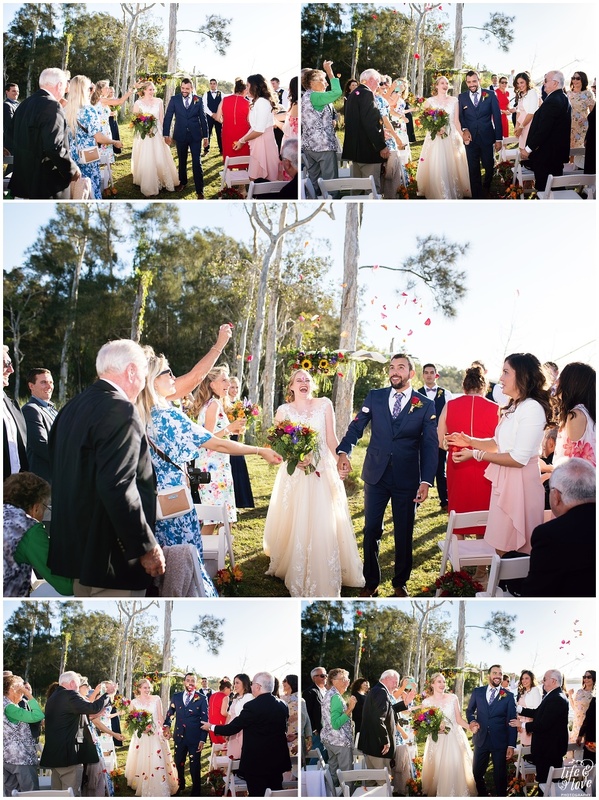 And it absolutely shined through the wedding they planned and invited their amazing friends and family to! 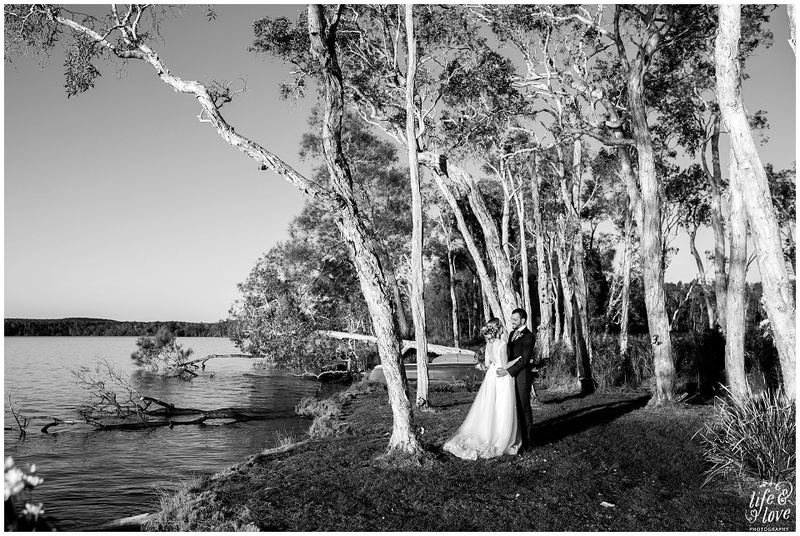 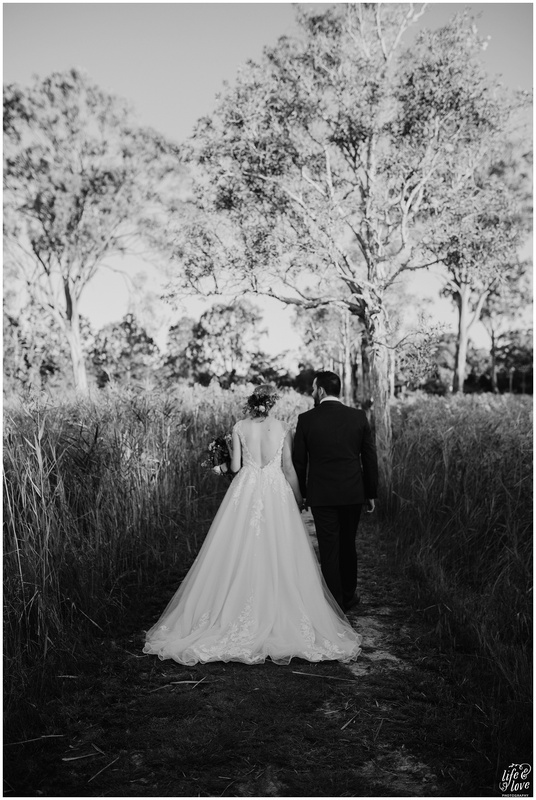 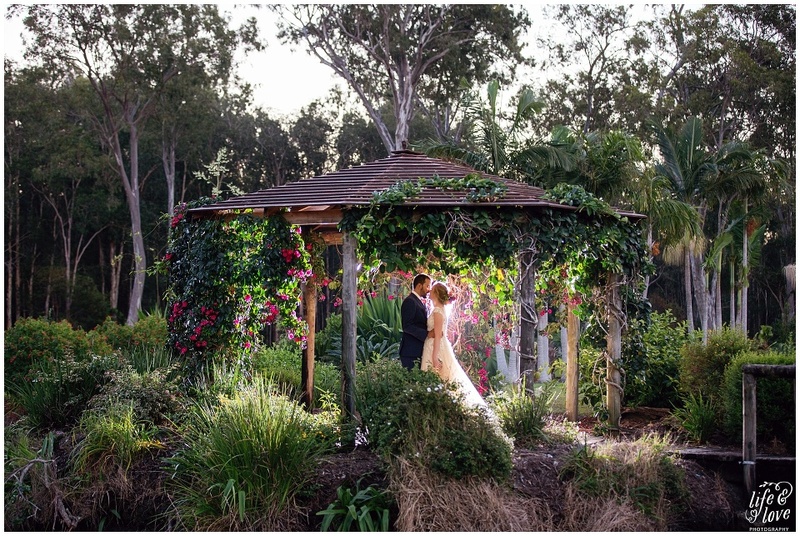 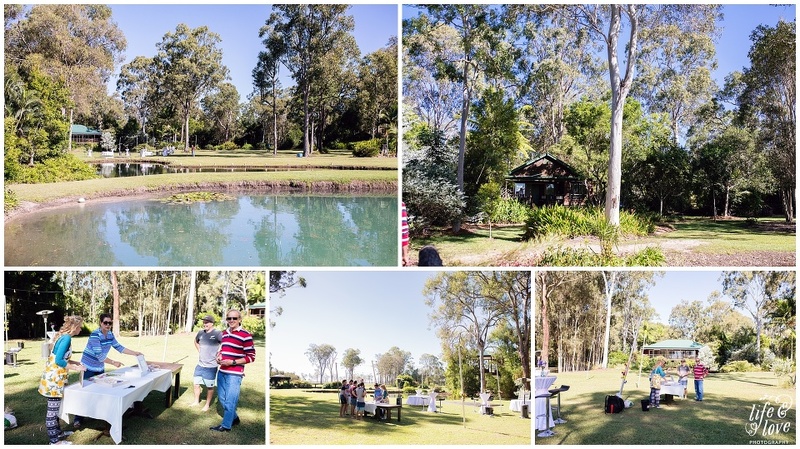 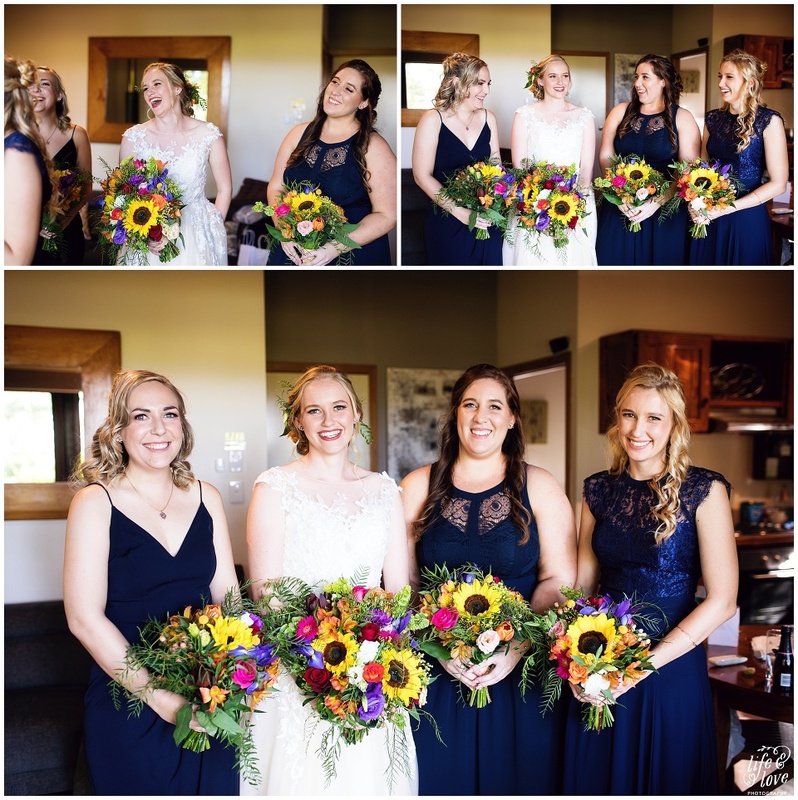 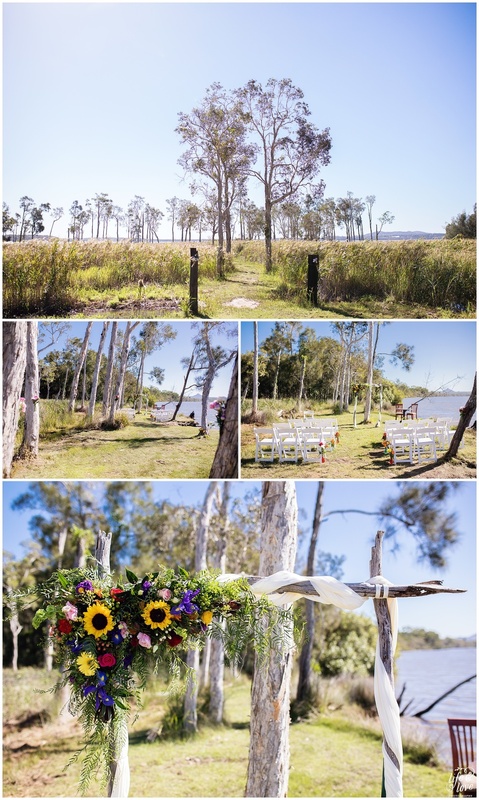 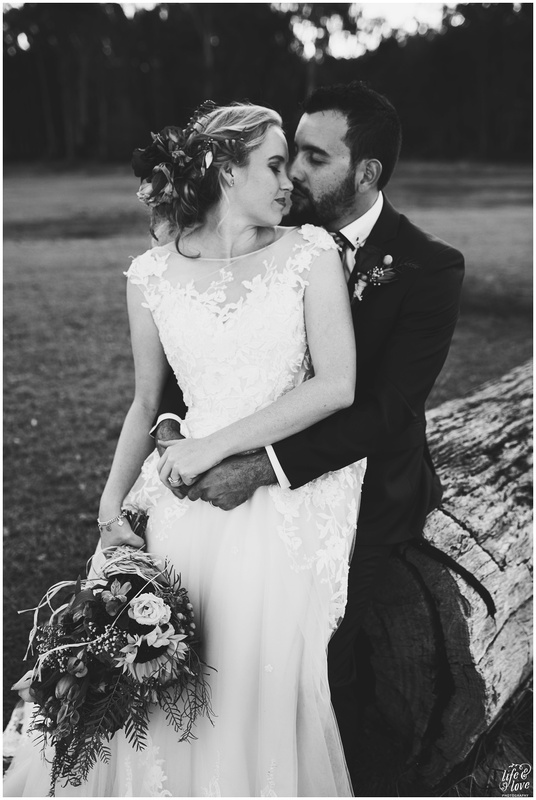 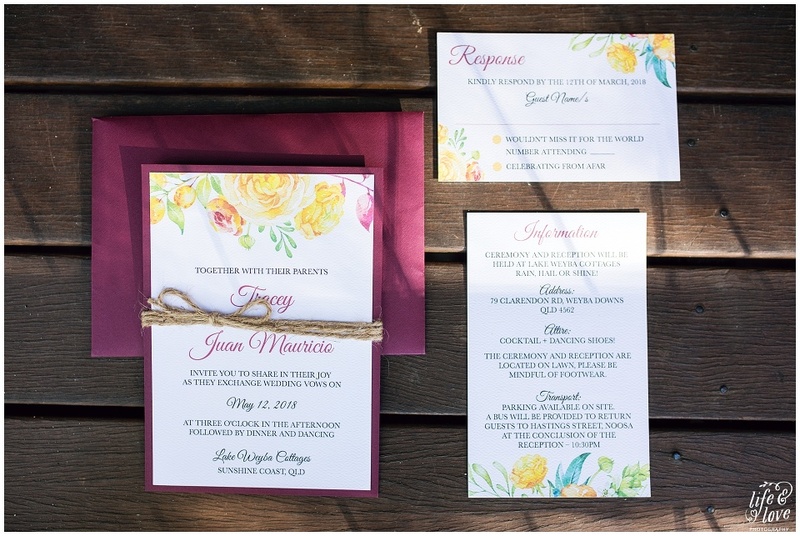 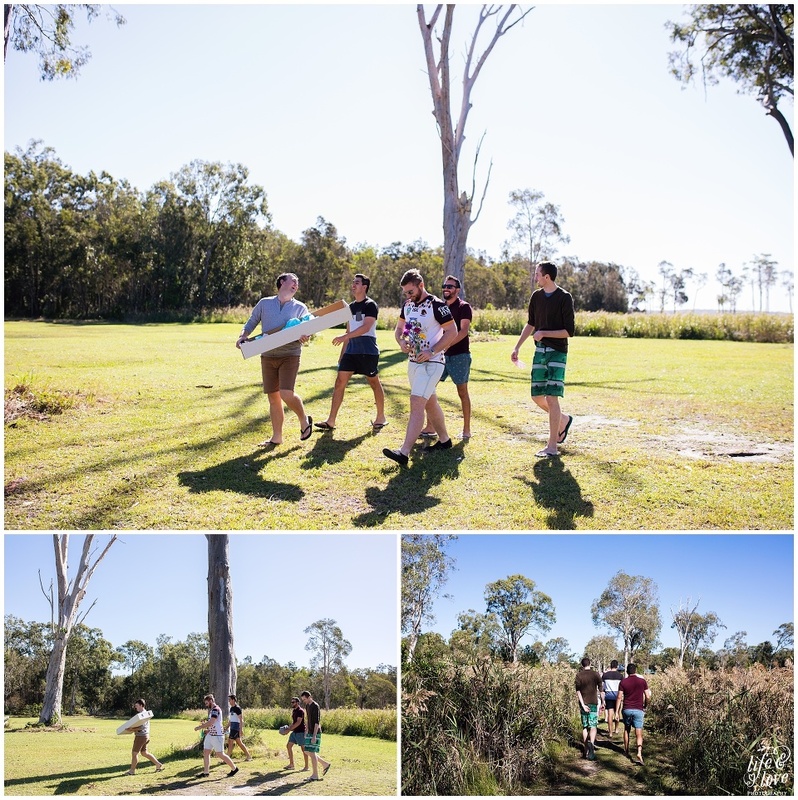 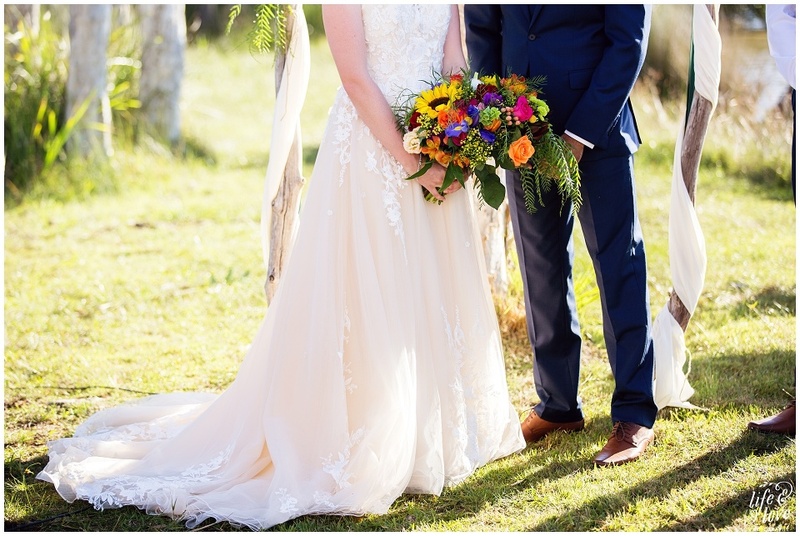 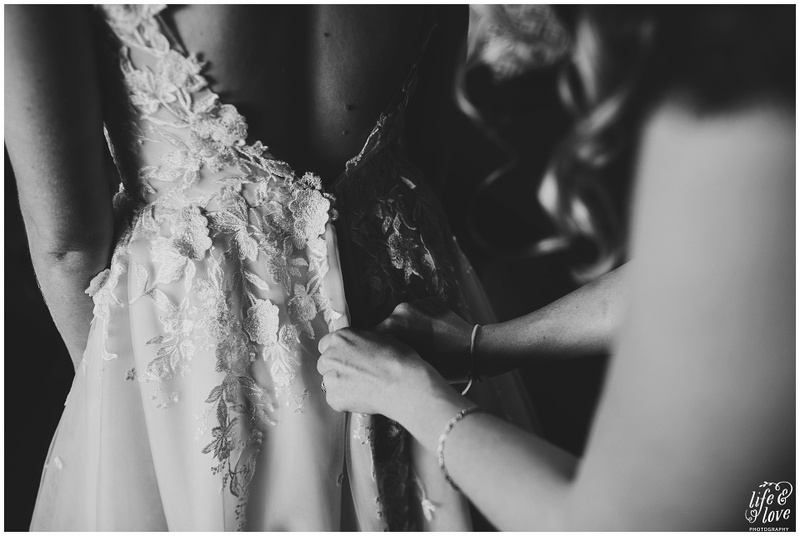 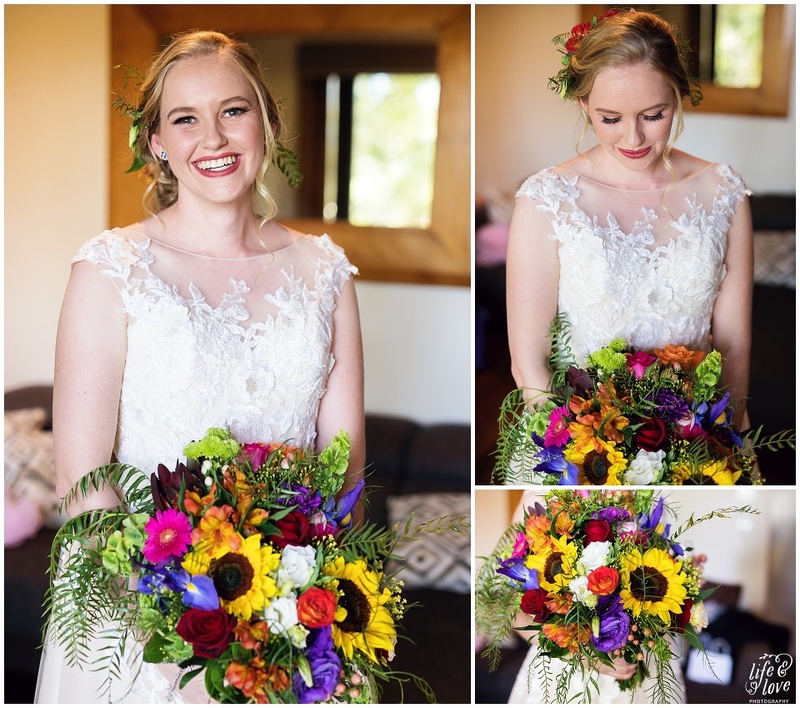 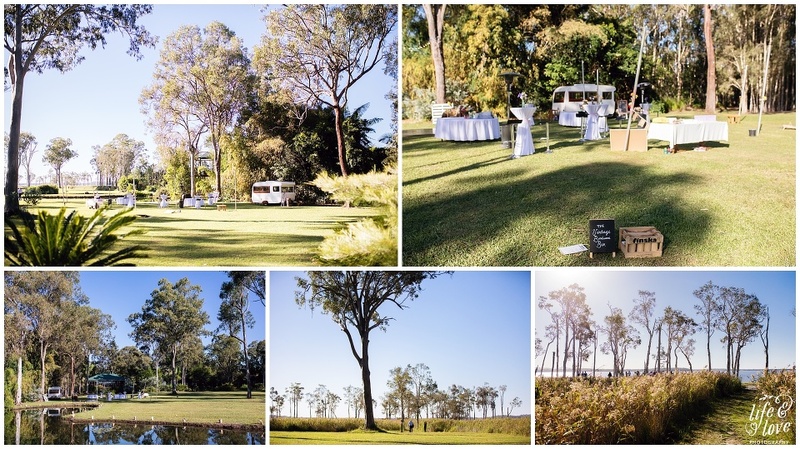 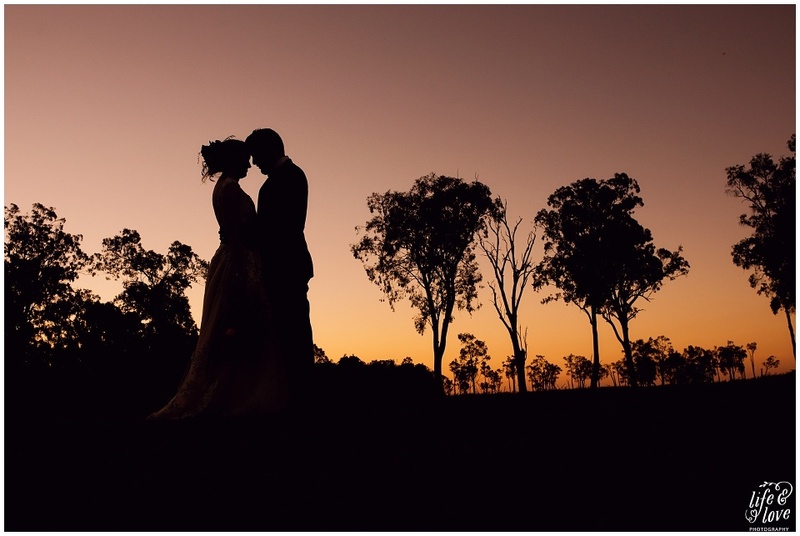 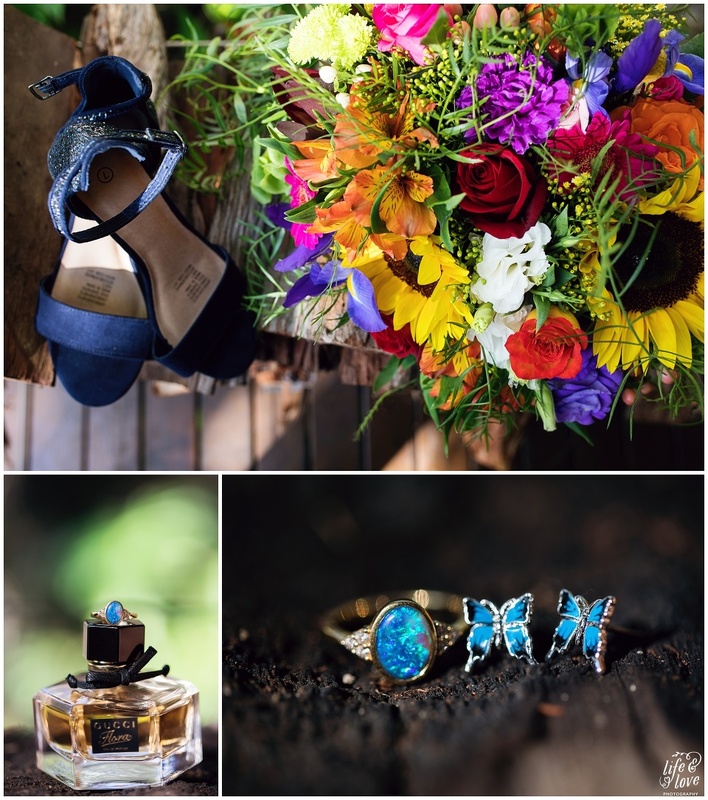 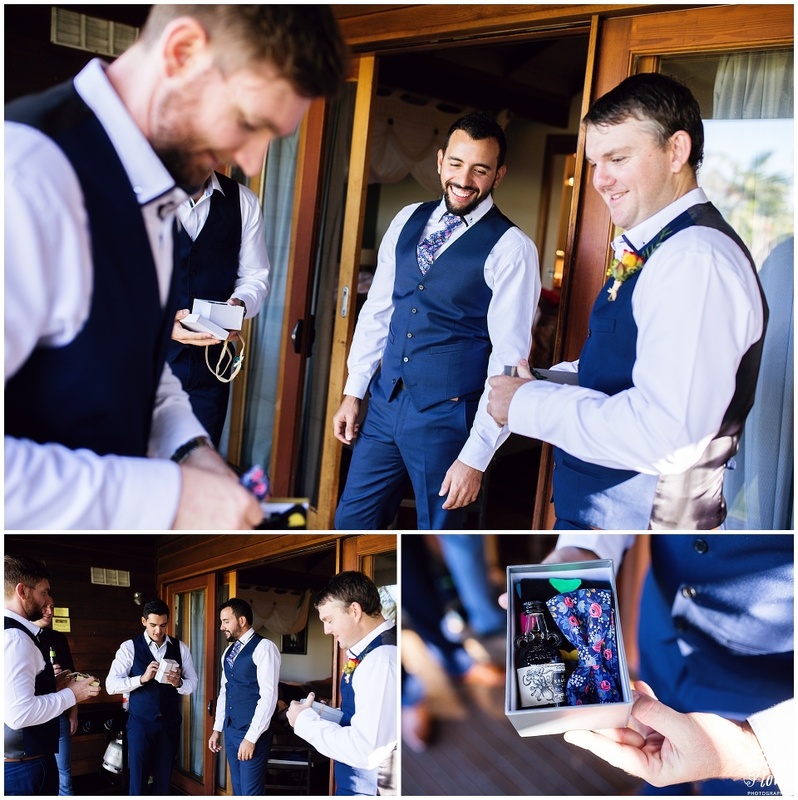 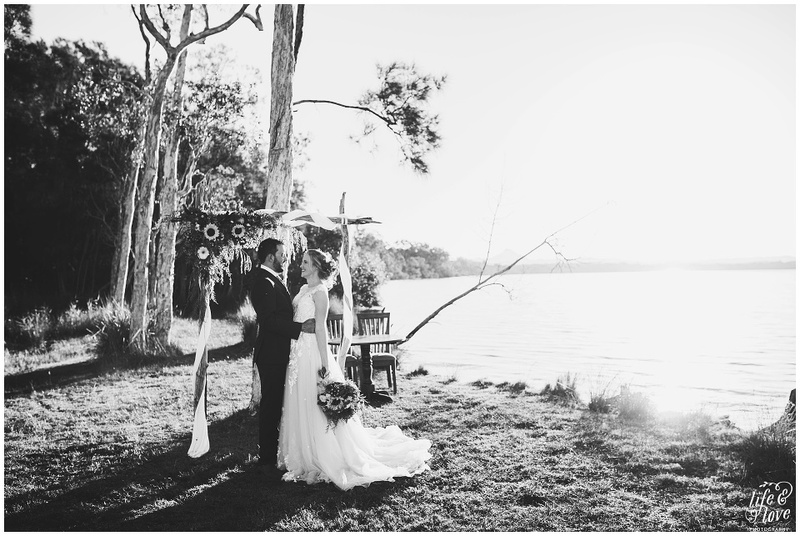 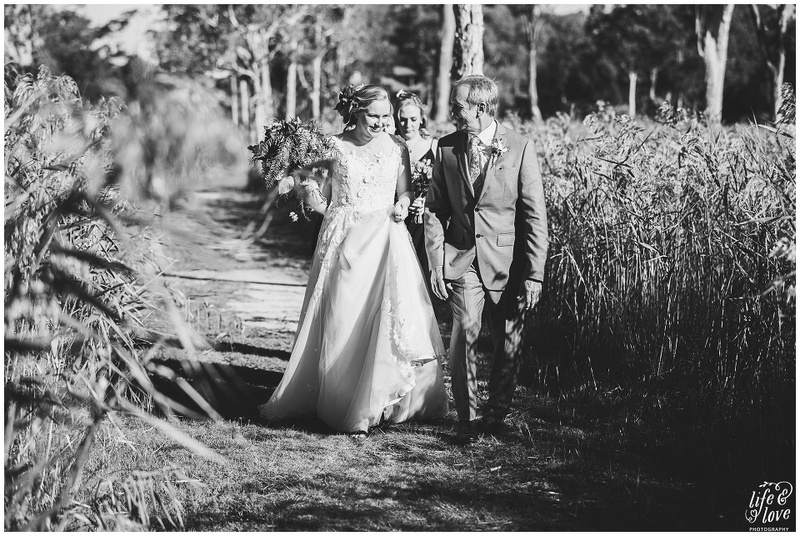 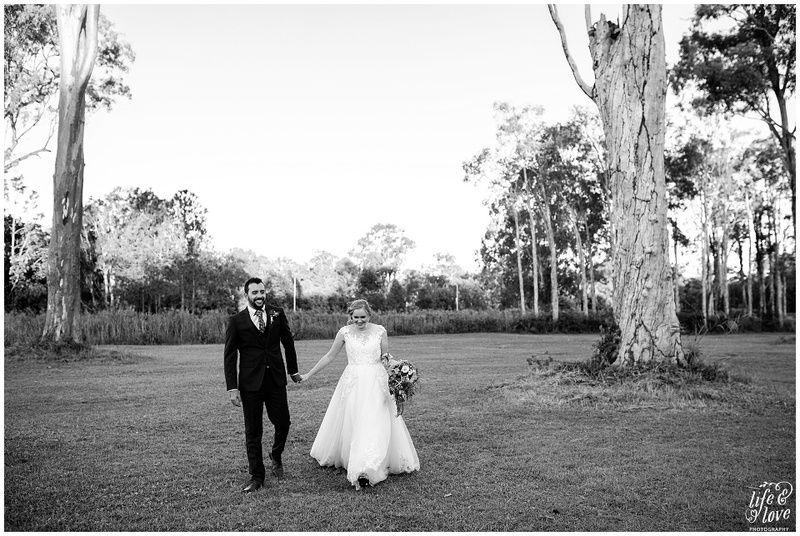 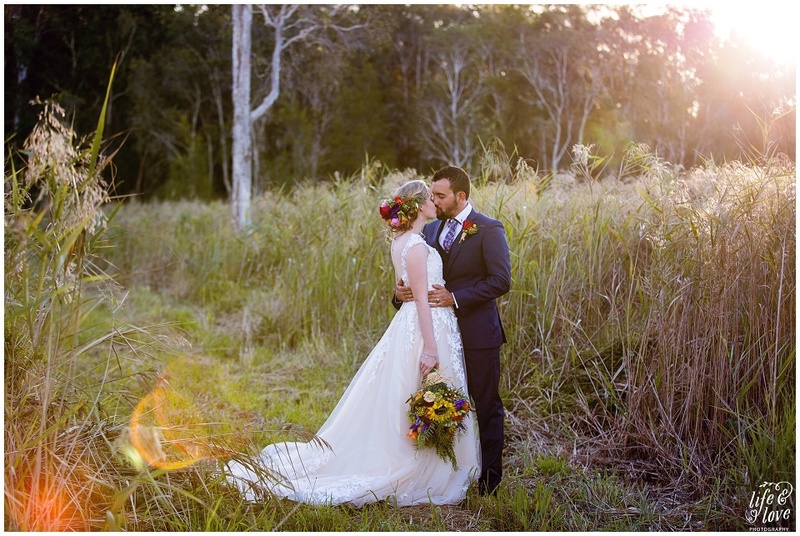 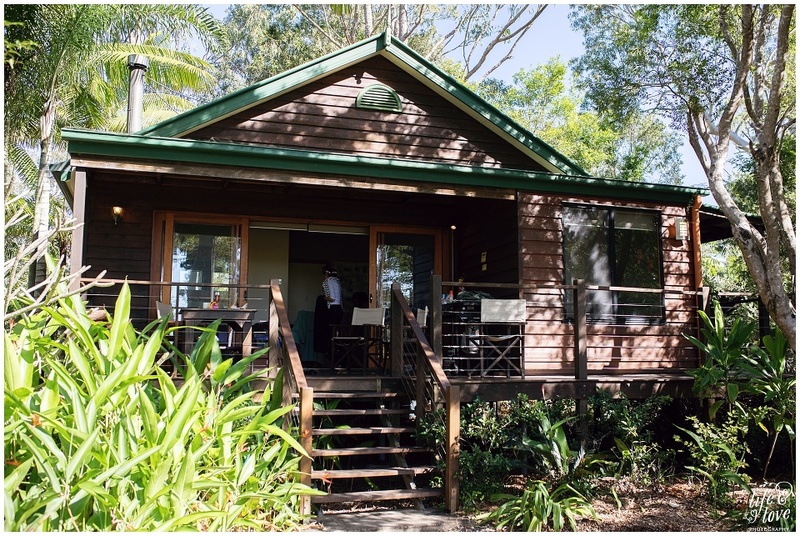 Lake Weyba Cottages was the perfect location for everything! 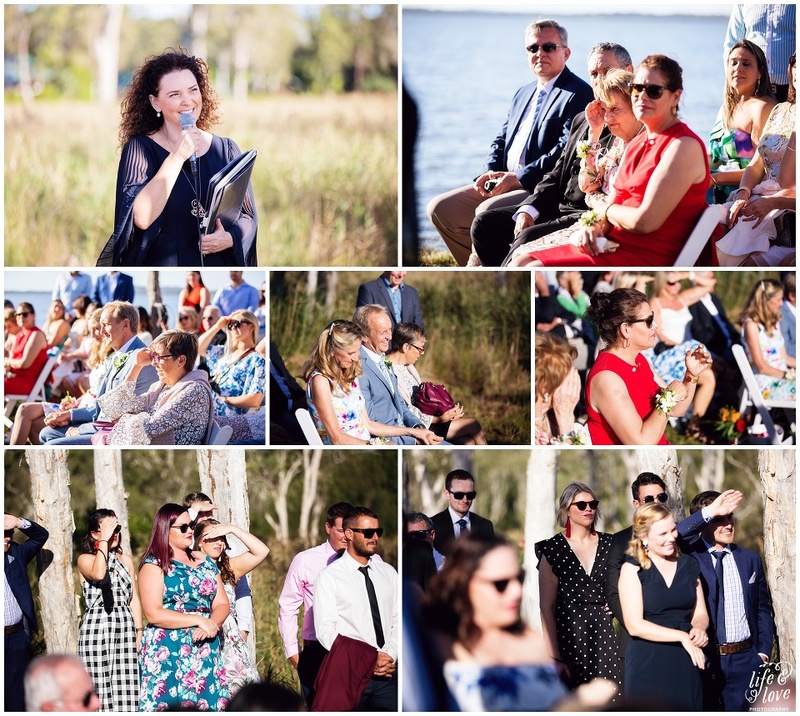 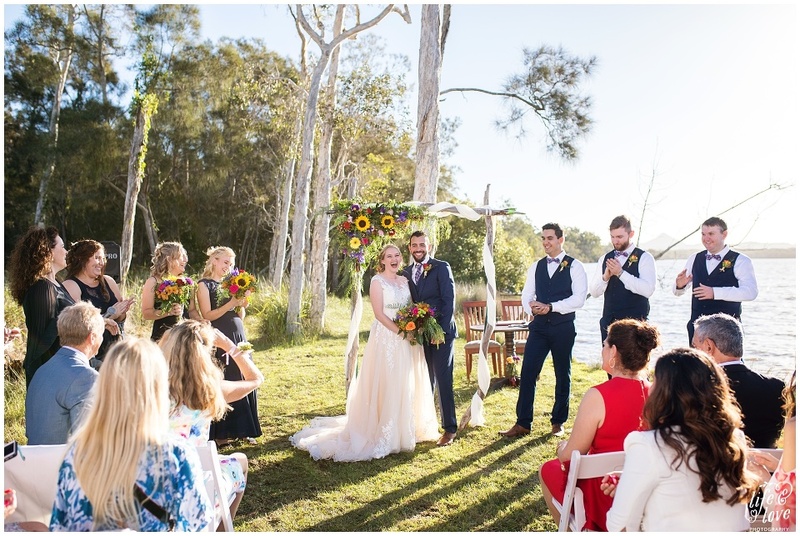 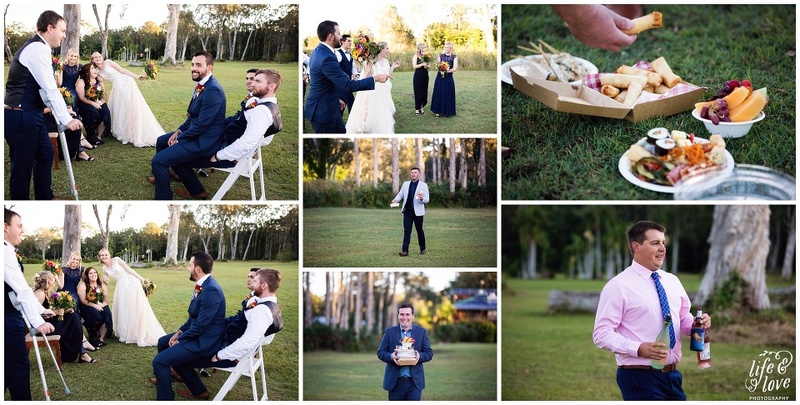 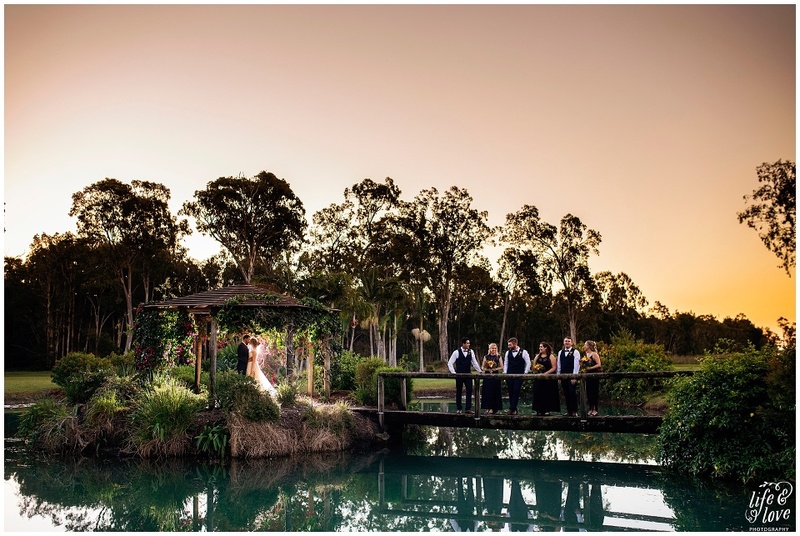 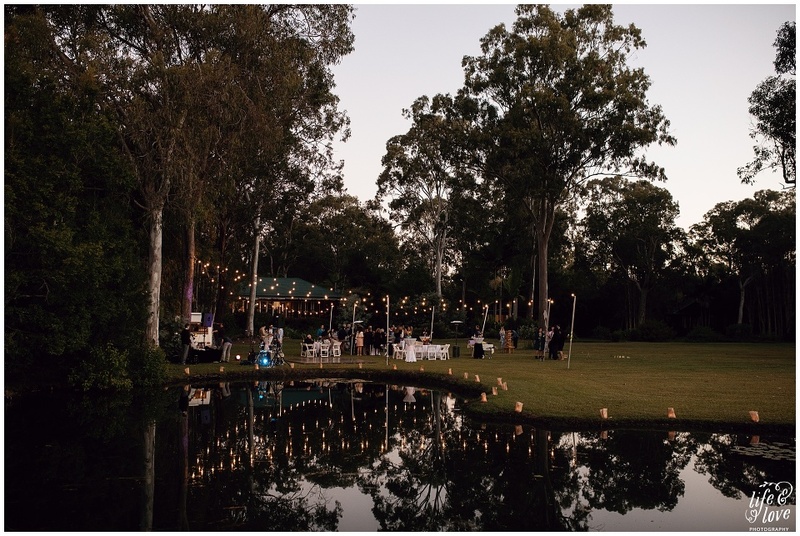 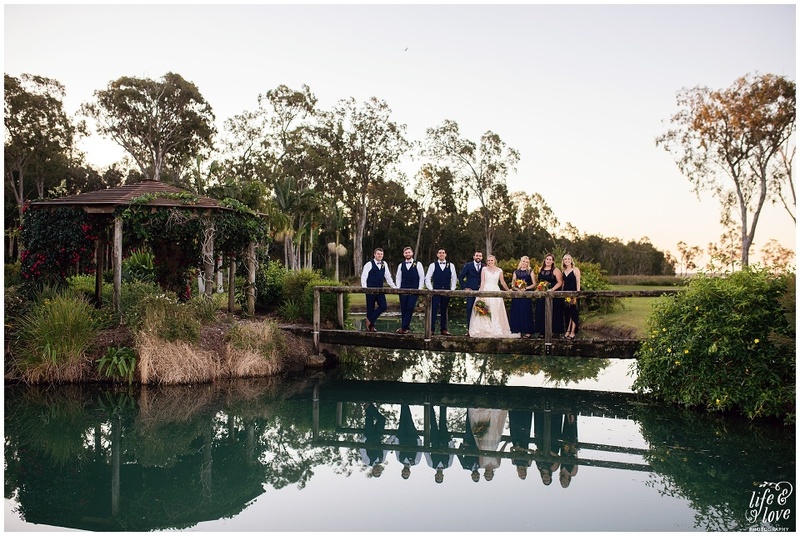 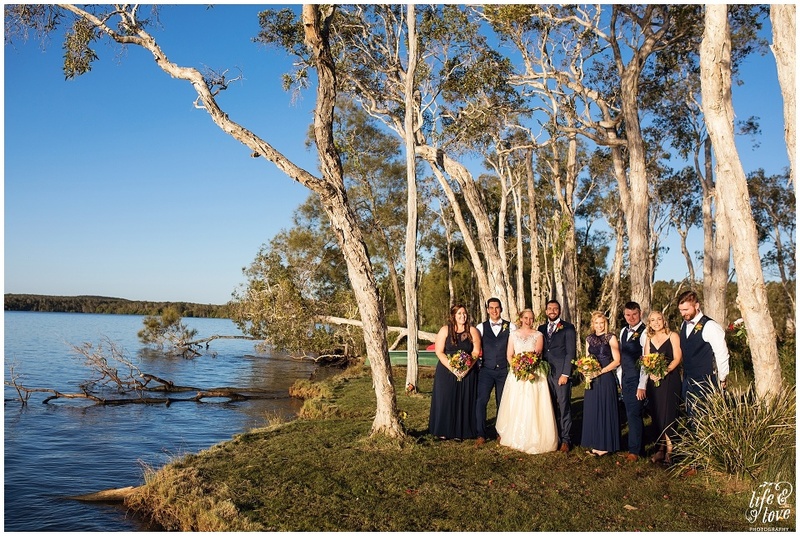 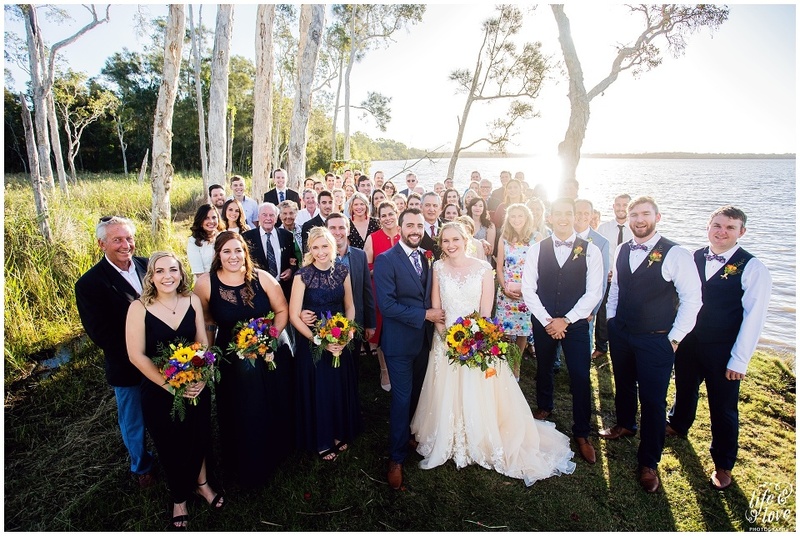 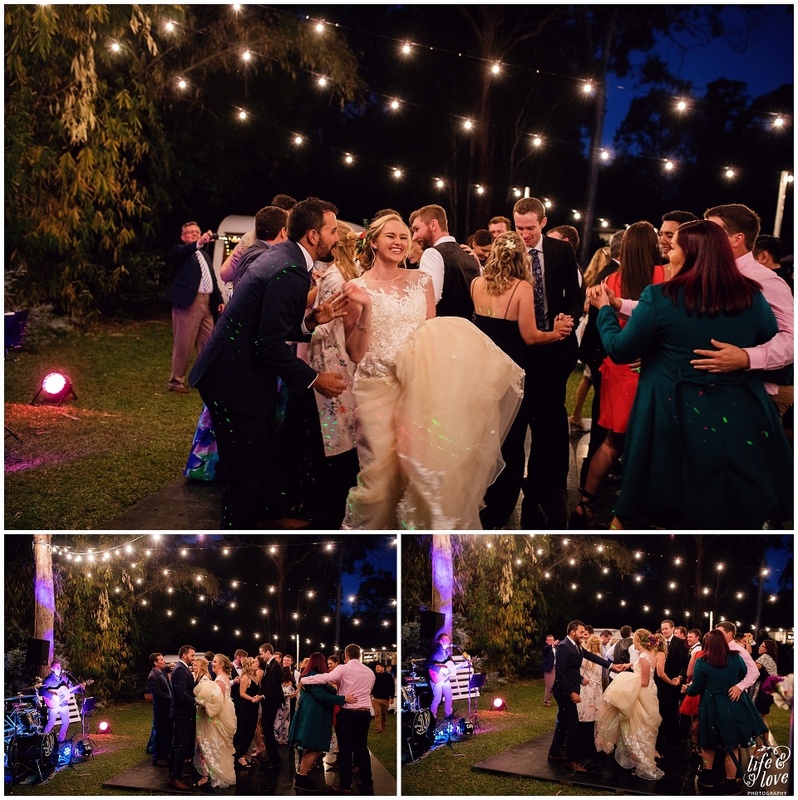 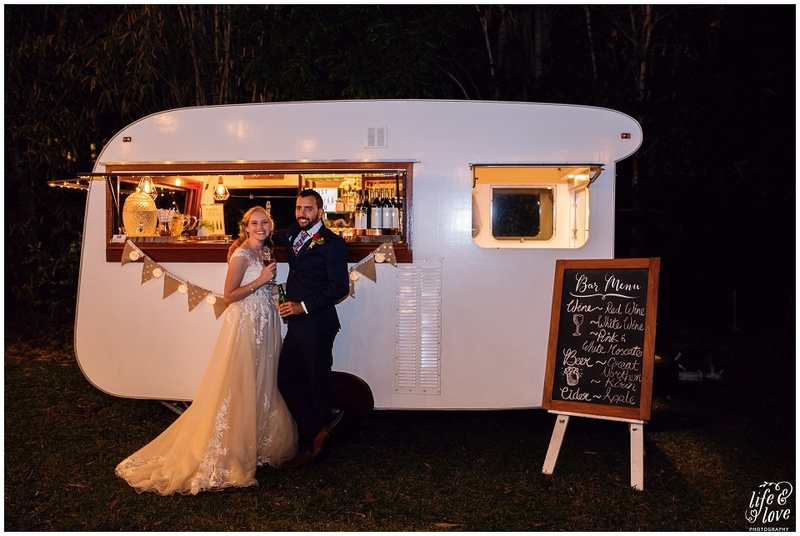 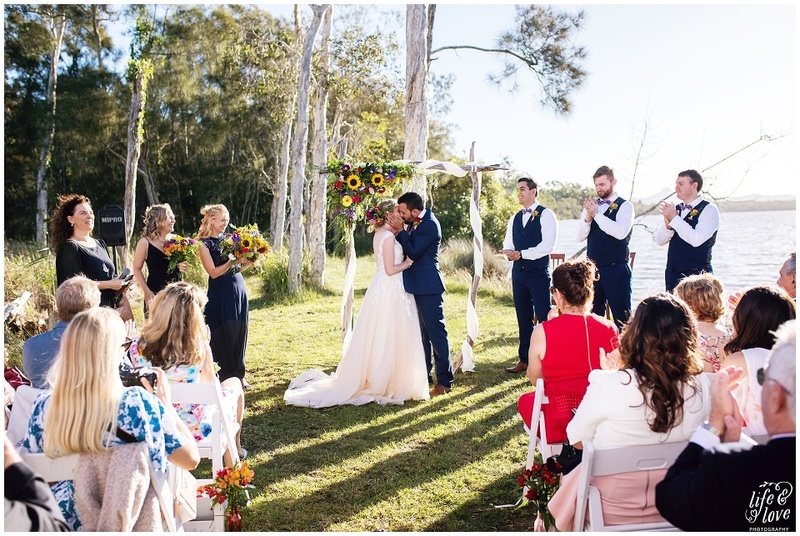 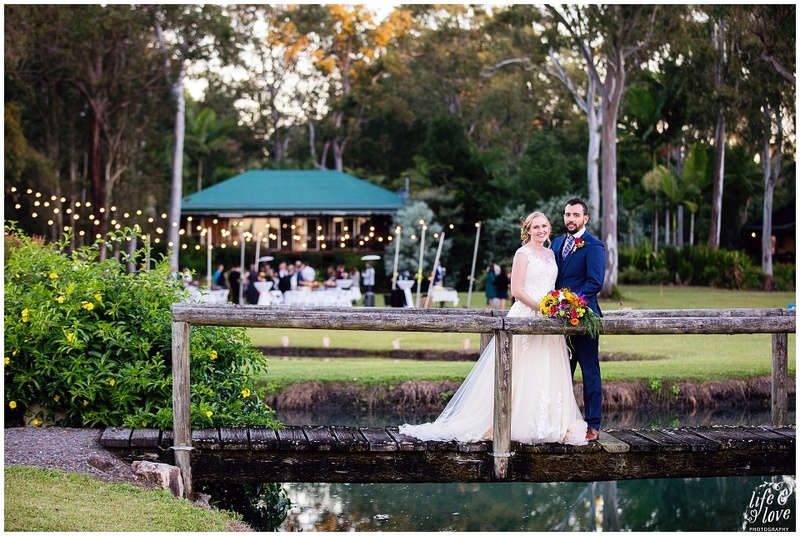 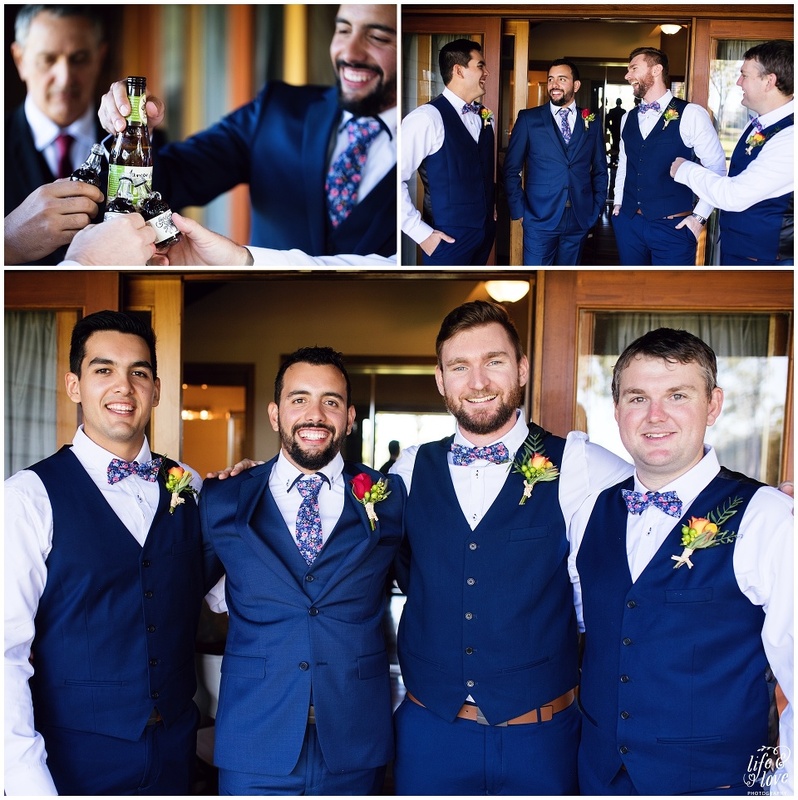 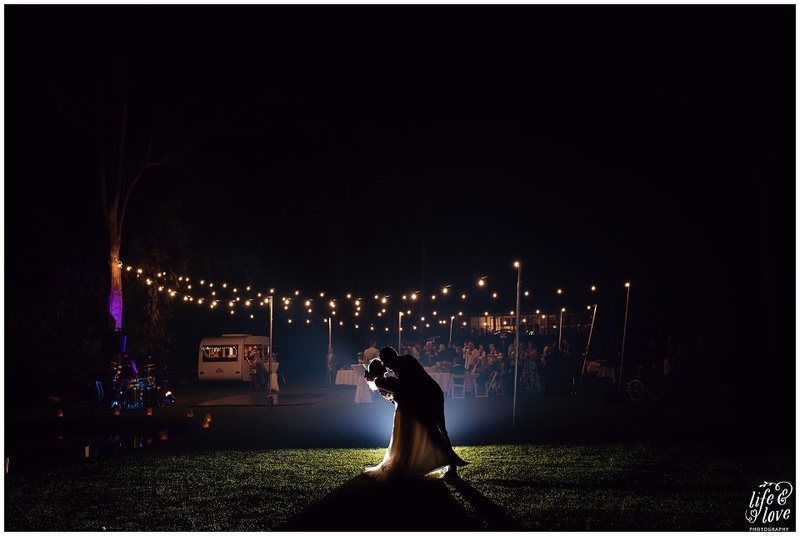 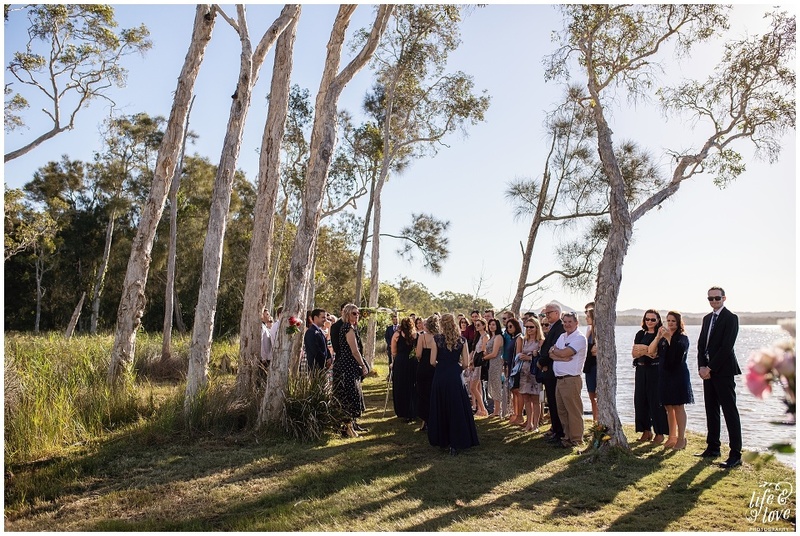 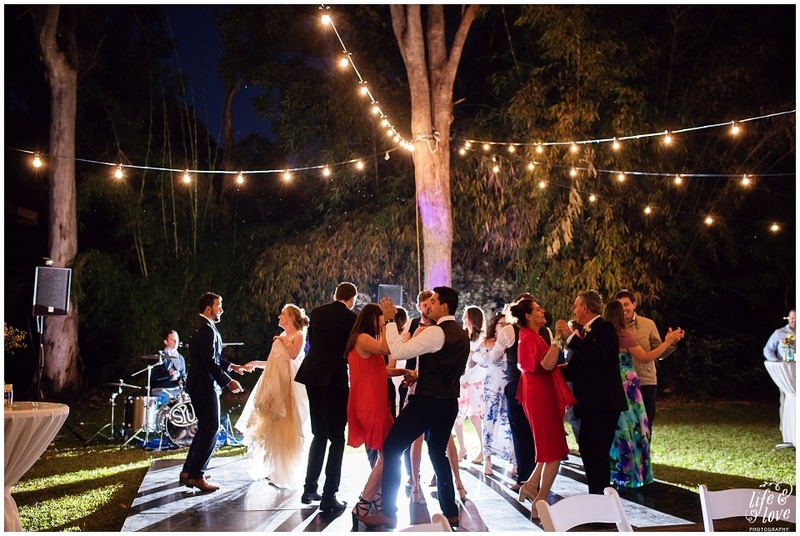 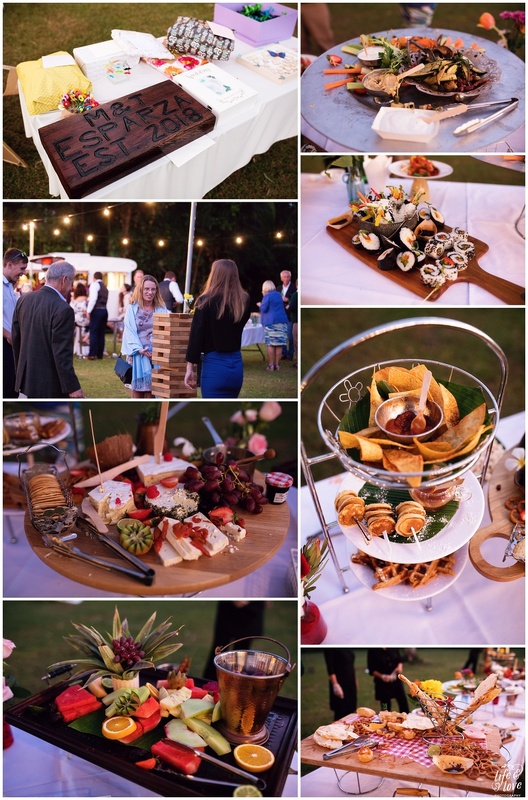 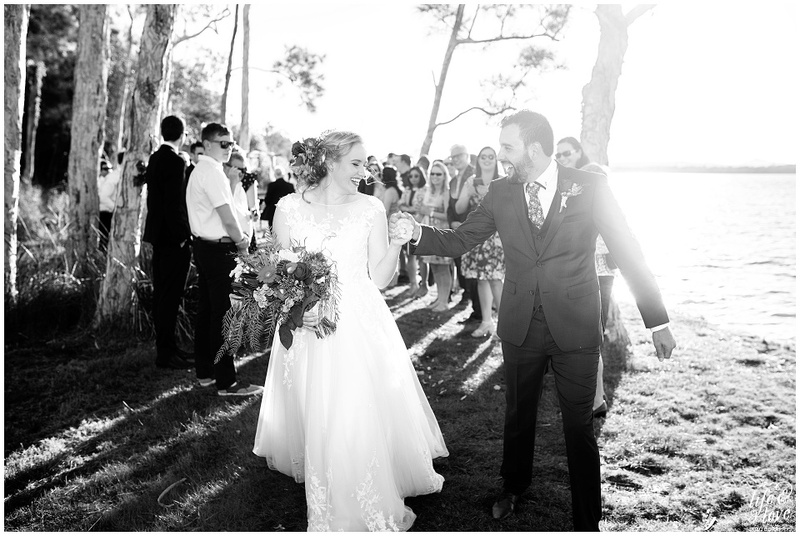 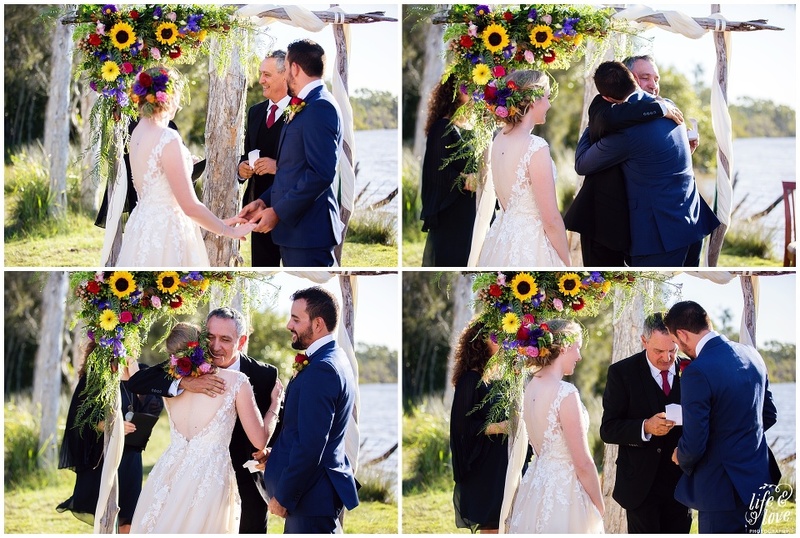 With the help of their friends & family, they had their ceremony by the water and danced the night away under gorgeous festoon lights with drinks flowing from the lovely Ashlee of The Vintage Bondwood Bar, endless food & Cory Carlyon Music making sure everyone was having a great time!